Ida Rezvani has been named president of mcgarrybowen New York, a shop that’s experienced major growth over the past year with the addition of American Express and Subway to its client roster. She will take the reins of the NY office later this spring, marking her return to the agency, having previously worked at mcgarrybowen London and, ultimately, making her way to mcgarrybowen’s headquarters in New York. Rezvani is an experienced marketing leader known for building iconic global brands in both the U.S. and Europe. Since 2015, Rezvani has been a WPP global client leader, overseeing one of WPP’s top 50 clients—IHG. There, she was responsible for the business across 15 operating companies, 12 brands, and four regions. Rezvani wrote and implemented a global operating model which resulted in an integrated, cross discipline team that resulted in global brand platforms across IHG’s growth brands. Rezvani began her career in London at RKCR/Y&R, where she held various roles in account and business leadership, including as deputy managing director and head of account management. There, she managed successful campaigns for Marks & Spencer, Visit London, and Virgin Trains. Her teams won multiple awards for their work, including the Grand Prix IPA Effectiveness Award for Marks & Spencer. 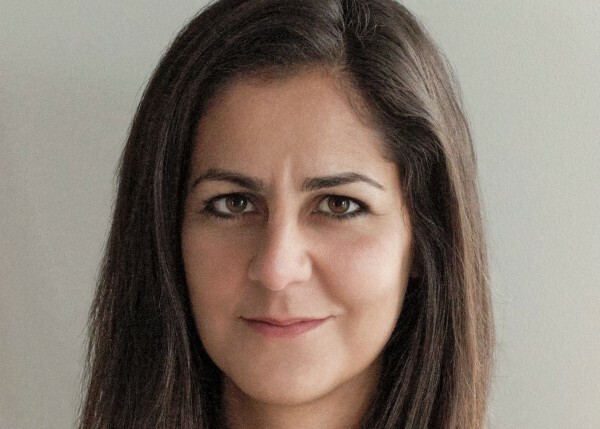 Rezvani joined mcgarrybowen London in 2010, as managing director, where she helped to transform the agency from Dentsu London to mcgarrybowen. The office grew quickly under her leadership, and she raised the agency’s standing with high-profile creative work for Canon Pixma, Wallpaper Magazine, and Uniqlo. Keeping Rezvani in the mcgarrybowen family led to a three-month secondment at mcgarrybowen’s New York headquarters in 2013. There she was mentored by founder Gordon Bowen and other leaders to get an up-close understanding of the agency’s unique approach to brand building and transformation. Following this, Rezvani chose to move from London to New York. At mcgarrybowen New York, Rezvani led United Airlines and Marriott Hotels--two of the of the agency’s top five clients--raising the creative bar and growing the business. Rezvani steps in to the role recently held by Angela Johnson, who accepted a position to lead global, cross–Dentsu Aegis Network client engagements. Chief creative officer Matt Ian and chief strategy officer Conner Huber are part of the core leadership team that will now report to Rezvani.